The What: Barco has introduced a new family of professional solid-state projectors to the simulation market. The new family of laser-phosphor projectors will exist alongside Barco’s LED range. The F90—the first projector to be launched in this family—boasts up to 13,000 lumens and up to 4K UHD resolution. The What Else: The F90 series was designed with the current demands of the simulation market in mind. Smearing reduction ensures that fast-moving objects are depicted with high accuracy. The high illumination level − using laser-phosphor technology − means that fewer channels are needed on large display areas, further reducing total cost of ownership. Barco’s own 4K UHD Single Step Processing (SSP) technology, which ensures lower latency to make sure that even in fast-moving simulation systems the sense of reality is upheld at all times. The embedded warp and blend capability, Constant Light Output (CLO), unmatched color performance over time, and dual iris system with optical filters for a great contrast range, guarantee that images can be displayed true-to-life in any simulation system. The F90 series also utilizes all of the existing high-quality lens options of Barco/projectiondesign’s F3x series. 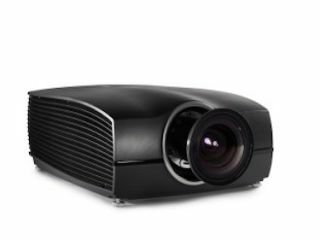 The Bottom Line: The F90 series is being offered alongside Barco’s LED range of projectors developed for the simulation market.